Spring is in the air and summer is just around the corner. Windows are opening up and cookbooks with refreshing desserts are coming out. While we indulge in plant-based ice cream and other treats year round, we are especially inspired to mix it up with unique recipes this time of year. Some go-to favorites that come to mind are ice cream sandwiches, ooey-gooey-marshmellowy rice crispy treats, and strawberry sundaes. How do you enjoy all of the goodness at once? 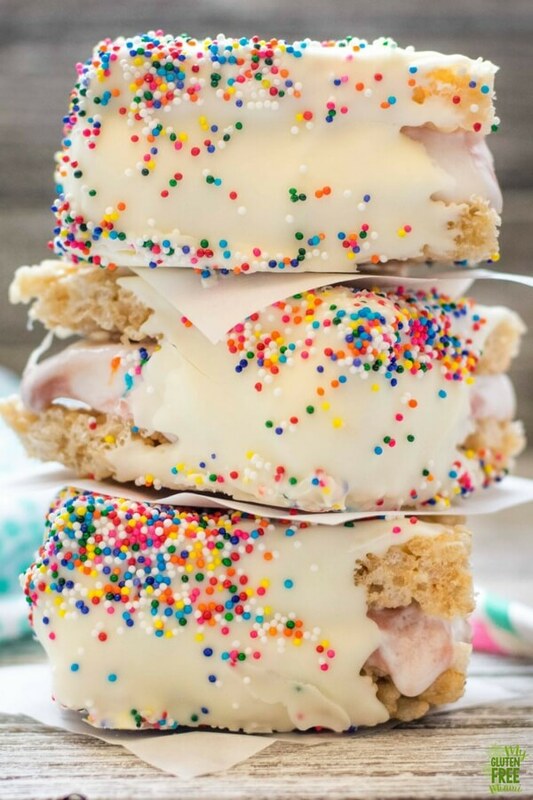 Meet these gluten-free vegan rice crispy ice cream sandwiches! These sweet squares of heaven are so unique and tasty. Our good friend My Gluten-Free Miami is a gluten-free dessert genius! 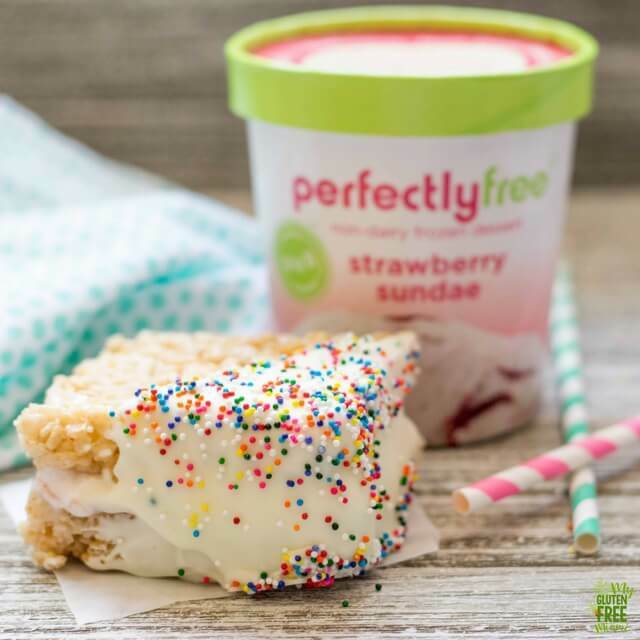 The Gluten-Free Chocolate Dipped Crispy Rice Treat Ice Cream Sandwich (Dairy Free) Recipe made with perfectlyfree® Strawberry Sundae non-dairy ice cream is like a dream coated in vegan white chocolate and sprinkles. So much yum! Our Strawberry Sundae non-dairy ice cream pairs perfectly with vegan marshmallows, allergy-friendly white chocolate and sprinkles. We love the idea shared to mix it up with our other allergy-friendly ice cream flavors, Fudge Swirl and Caramel Cafe, to add some variety and share with others! 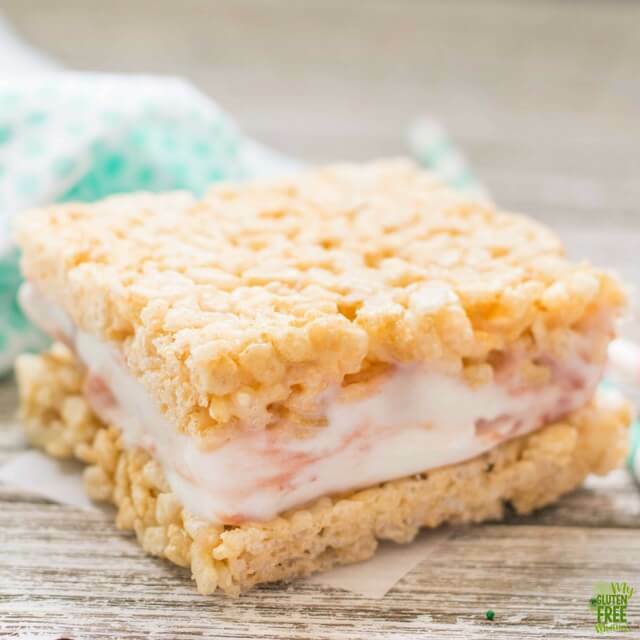 These gluten-free vegan rice crispy ice cream sandwiches are free from the top 8 major food allergens*, and simple to adjust with some creativity to suit other dietary restrictions. Click here for the recipe ingredients & instructions.